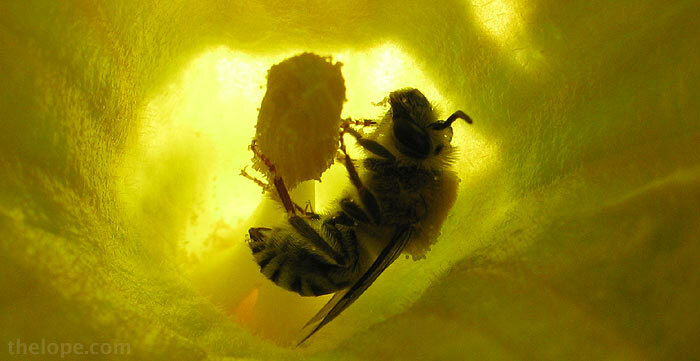 I'm seeing quite a few bees in my garden of late, particularly in the gourd and cucumber flowers. 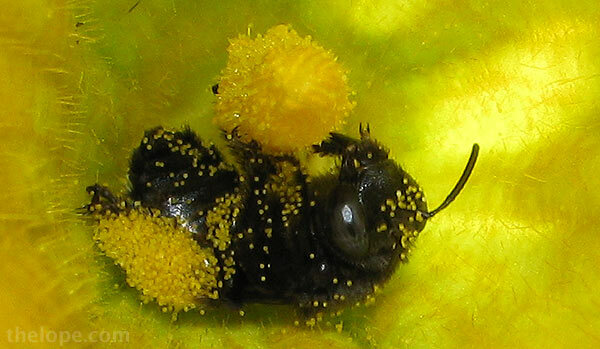 Check out all the pollen on this bee's leg. I'd say he's doing a great job. SHEESH!!!!! You must have one heck of a zoom feature on your cam! Awesome pics! Not zoom - macro. I had to hold the camera right up by the flower petals. But no worries, the bee was not concerned with me. The camera was actually just a Canon SX110IS.